Imagine this – your company has a new product that you’re eager to bring to the market. The product may or may not necessarily be brand new, and you might just be bringing it to a certain market for the first time. Either way, introducing a new product for public consumption is an extremely costly and time consuming process. The cost of production and logistics and transportation to ensure proper distribution are an immense investment, as you have to produce and ship out your product in bulk in order to get them into stores. On top of that, there’s also the cost of R&D and Marketing, both of which require a great deal of time and money that definitely can’t be considered trivial to any company. Nevertheless, introducing new products to the market is still a vital part of business development and expansion, so how do you decide whether or not bringing “that” new product to market is worth the investment? This is what makes market research such a vital aspect of business. Market research allows businesses to gain insight on how consumers behave in general as well as their specific behavior in certain situations towards certain products. A proper research framework will yield a treasure trove of valuable information that businesses can then use to ultimately determine whether or not a product is worth bringing in to the market. So how exactly does this process work? As you can imagine, uncovering the detailed information needed is no simple task. There’s a multitude of aspects that need to be observed when attempting to study the demographics that make up a market, as consumers can be segregated according to gender, race, age, and even brand usage, and each of these demographics has a range of behaviours that need to be identified and analysed in order to determined whether or not your product will be successful in their market. This is why market research specialists such as ourselves break down the process using a framework that provides you with structure to achieve direction and clarity, allowing you to systematically and accurately identify the characteristics of users (or potential users) which are relevant to the product that you are attempting to introduce to the market. In order to illustrate how a research framework works and how it can benefit your company, we’ll be using the example of a company attempting to introduce a new fruit juice drink to the Malaysian market. When it comes to establishing a research framework to investigate a potential market, one of the first things to do is to create a Market Map. The very first thing a company needs to find out before introducing a new product to a market is how many potential consumers there are in that market; finding out what % of the population consumes juice, and how large the juice consuming demographic is. This is sometimes also known as the addressable market. Once the size of the market has been determined, we can move on to determining the other key facts that will determine the exact extent to which juice is being consumed in the market. Knowing the size of the market alone does not necessarily provide enough information for a business to determine whether or not bringing a product to a market is a worthy investment. Hence, one of the details that a market map must contain is the frequency of consumption of the product in question. If the market size for juice consumption in Malaysia is determined to be over 10 million people, consumers who only consume juice once a week will make a stark contrast in projected revenues versus those who consumes juice 2 to 3 times a week. Thus, identifying the consumption frequency is vital in enabling a company to make an informed and strategic decision. These are some usual key subgroups that are examined when researching consumer demographics, and while there may be other categories depending on the nature of the product (e.g. Parents, etc. ), knowing how your market is segregated according to key demographics will form the foundation of your market research framework. It is also at this point where we perform an incidence check – a study that determines what % of each demographic in the market consumes the product in question. The fact of the matter is that different demographics respond differently to different marketing styles and product features, and knowing the size of each demographic is the key to figuring out how best to develop, market and price your product. Having a predominant demographic in your market can also help guide your market research, as it may indicate a clear target demographic to focus your market research studies on. In the case of juice, a general study of the consumer demographic may indicate that the majority of consumers who purchase juice are older people in the 30-40 age group, who would generally be more likely to have their own families with children than people in younger age groups. Therefore, this group of consumers is the central focus of the research which will further help identify and understand how product can appeal better to them. After you have determined the size and demographic of your market along with the frequency of consumption, you should have a rough idea of whether or not it’s worth proceeding with introducing a new product to the market. Having said that, a market map alone does not provide enough data for most companies to confidently determine whether or not an investment as large as bringing a new product to market is sure to generate sufficient returns. This is why the next step in the research framework is to build on the information provided by the market map by using the initial insights to conduct a usage and attitude (U&A) study, which is also known as a consumption behaviour study. A U&A study is done so that we can have a more in-depth look on how a product is consumed, giving us a better understanding of how to develop and market a particular product. What brands and flavours do people enjoy when it comes to drinking juice? Are the majority of people devoted to 1 or 2 prominent brands within the market? Or is the market an open battlefield where consumers are easily attracted by new brands offering fresh flavours and experiences? This can be an important factor in deciding whether a new product can be brought in to the market, as it may not be worth the investment if the U&A study reveals that the majority of consumers are decidedly against trying out new brands. Having said that, this portion of the study can also help a brand identify and target the exact characteristics that consumers in the market prefer best. Here we can observe that the market is mostly dominated by 3 particular juice brands, with orange juice being the most popular flavour. 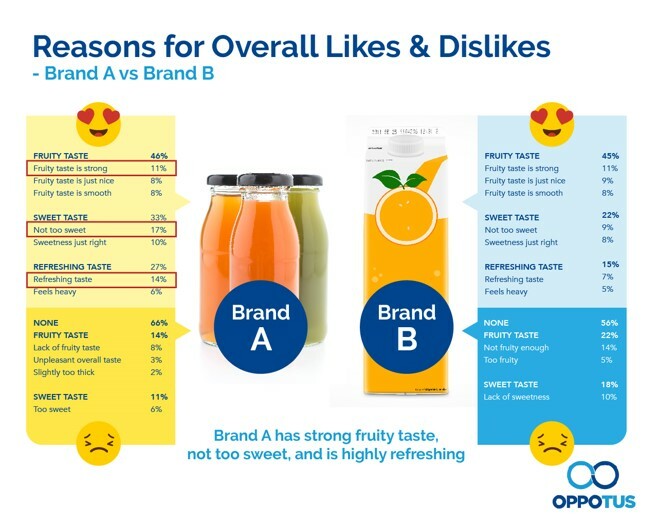 This suggests that we could focus on developing/marketing an orange juice drink in order to try and pull in consumers with a preferred flavour. 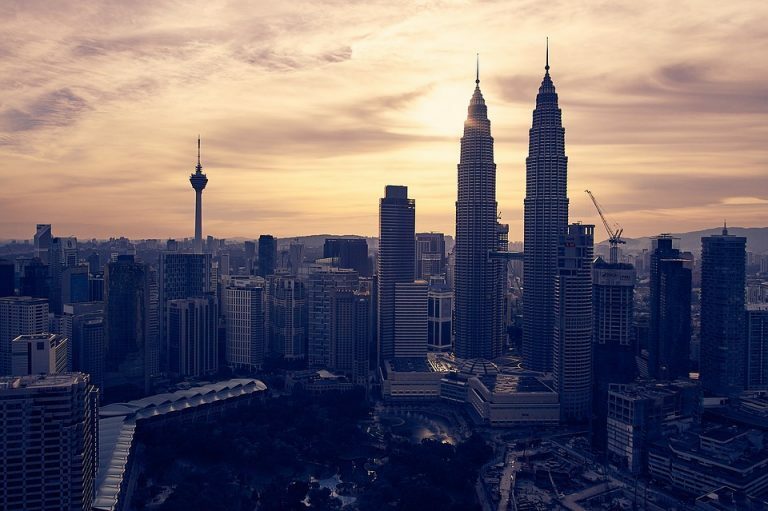 The others section also suggests that overseas brands are reasonably popular among Malaysians, which makes it more plausible for an overseas brand to bring their product into the Malaysian market. 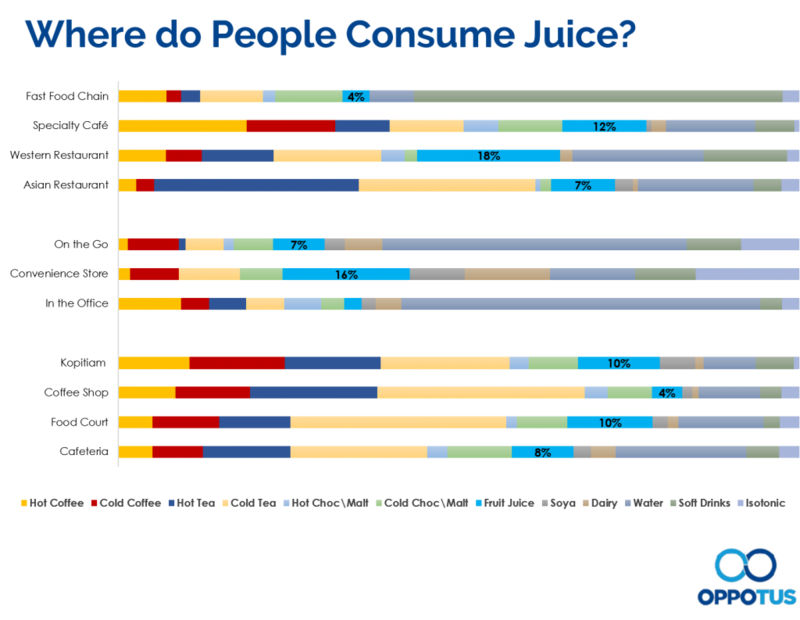 Where do consumers usually drink their juice? Is it at home? In the office? It could be something mainly consumed at restaurants and cafes, or it could even be that most juice is consumed on the go. Knowing where the product is primarily consumed can help drive marketing and inform businesses of how to best prioritise distribution channels. 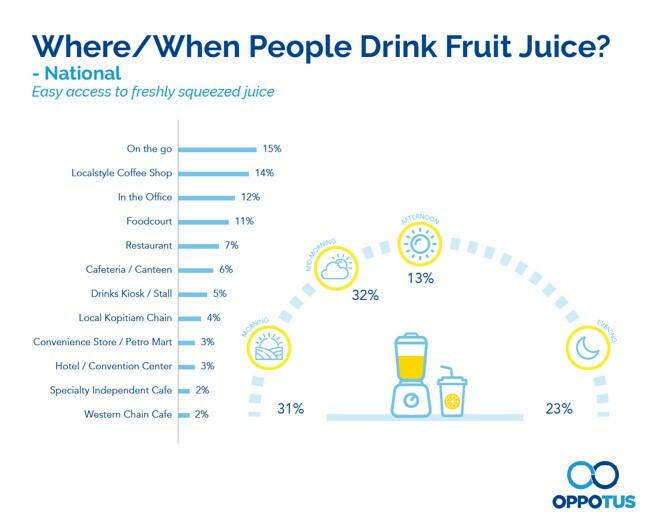 Here, we see that compared to other types of beverages, fruit juice is consumed most frequently in western restaurants and convenience stores when it comes to out of home consumption. Aside from supermarkets being generally known as one of the prominent outlets where consumers would source their juice products from, western restaurants and convenience stores should also be considered as potential revenues to drive sales. Therefore, marketing planning can be diversified through promotional campaigns and brand collaboration with relevant outlets. Who is consuming juice? And what demographics do they belong to? As we mentioned earlier, different demographics exhibit different behaviour in consumption, and can have different reactions to different brandings and flavours. 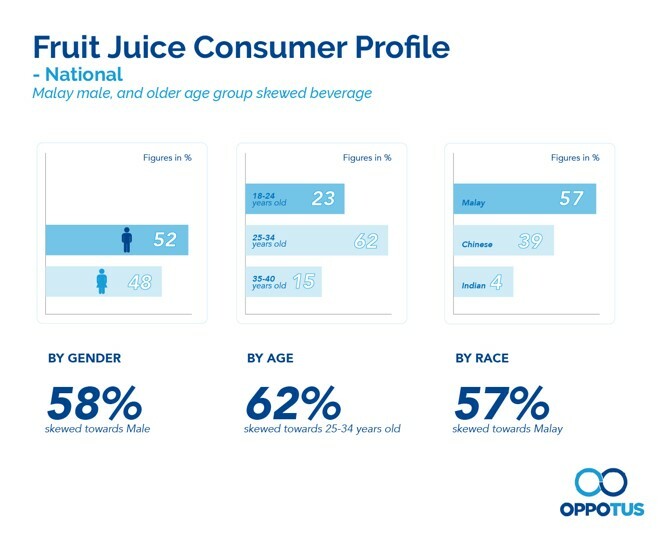 By investigating who the juice drinkers are, putting together a fruit juice consumer profile gives a good idea of what demographics can be marketed to, as well as consulted for feedback on the new juice brand. When do people drink fruit juices? Is it usually during meals as an accompaniment to food? Or is juice something that people mainly drink on it’s own? Here we see that fruit juice is most frequently consumed on the go among Malaysians, and mostly during the afternoon and evening. The high incidence of consumption on the go compared to in restaurants suggests that fruit juice is something that people tend to drink alone more often, and that it isn’t really viewed as a social drink as compared to alcoholic beverages. The increased frequency of consumption in the later stages of the day also suggest that fruit juice is seen as a kind of “refreshment” or “reward” reserved for late in the day, compared to drinks that are consumed to “start off” the day or throughout the day, like tea or coffee. These insights help substantiate to devise and drive better product marketing. Why do people drink fruit juice? This part of the U&A study investigates the reasons people consume a certain product, also known as the “need state triggers”. 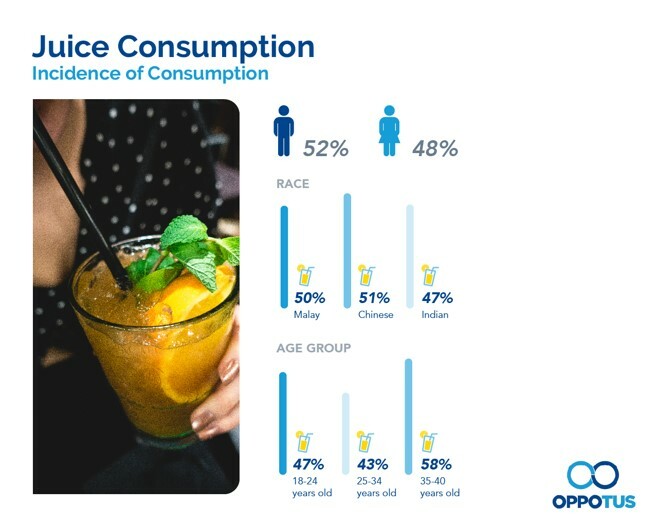 As part of this study we can see that the most frequently cited reasons that Malaysian consumers drink juice are to quench thirst or to help them cool down. 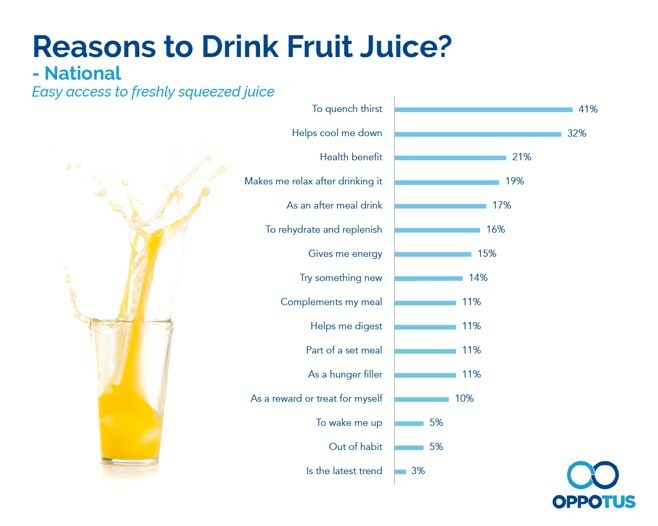 Given that these are the most common reasons, we can keep this in mind when developing and marketing our fruit juice, to ensure that consumers are given the impression that our juice is a drink that is very much suited for fulfilling those needs. 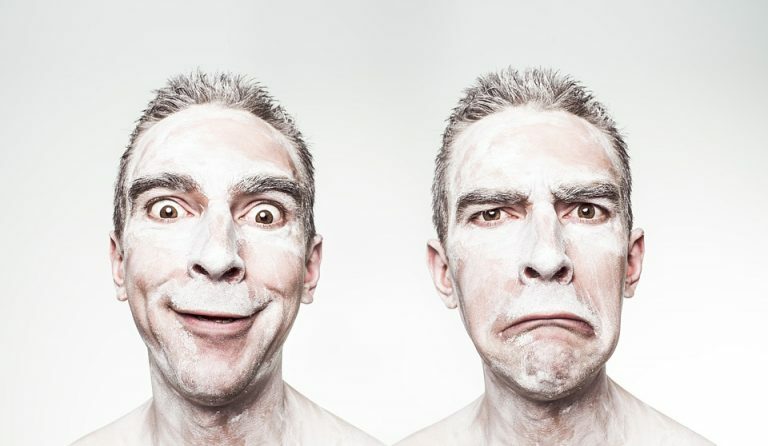 Besides answering the 5 questions of who, what, why, when and where, a U&A study can also perform more direct measurement of attitudes by producing imagery statements, which provide more in-depth information about how consumers perceive certain brands and why that is the case. The imagery statements for a brand are composed of the many aspects of a brand that a consumer can experience, such as the visual branding, the opinions of others, and their personal experience of consuming the product – all of which affect a consumer’s overall preference for one brand or another. As such, these imagery statements are extremely effective in helping to determine whether a brand has a chance of being successful in a new market. Furthermore, if the current branding does not resonate with local consumers, then the business can always use the results of the imagery statements to adjust and refine their branding. Finally, a U&A study can also provide even more in-depth information on how consumers behave by identifying consumer segments. Consumer segmentation (also known as buyer or user personas) is to go beyond understanding consumers from a purely demographic perspective, and typically layers on psychographic variables like their values and motivations towards life. 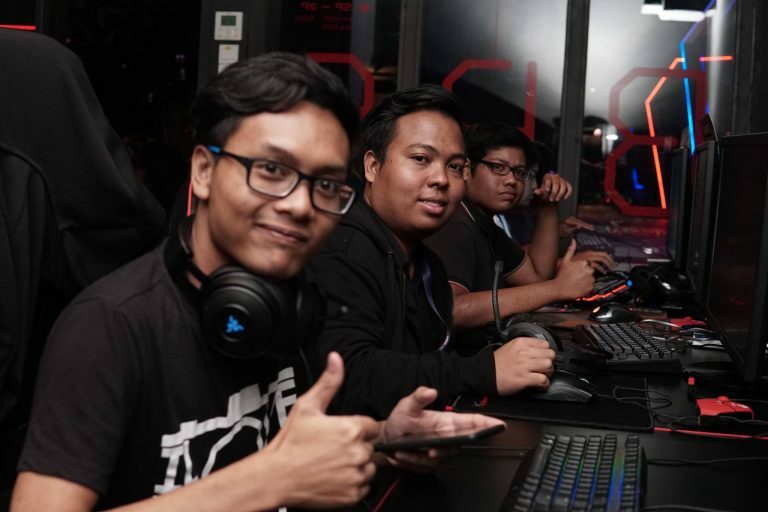 A quick example, not all 25 year old males earning RM4000 a month in Kuala Lumpur are necessarily the same – one may be more health-conscious, and another indifferent, and that may result in differing attitudes to how they view and consume juice, preference of brands, etc. We will explore this in more depth in a future article! When it comes to bringing a new product to the market or even improving the sales of an existing product, an effective market research framework is essential. Investing in a good market research firm with a proven strategy and framework can provide you with invaluable insights that will allow you to focus your time and resources into effectively developing the best product and marketing strategy possible. Are you ready to discover the difference between information and insights and push your organisation forward to a new dimension of opportunities? Contact us now to see what Oppotus can achieve for your business!